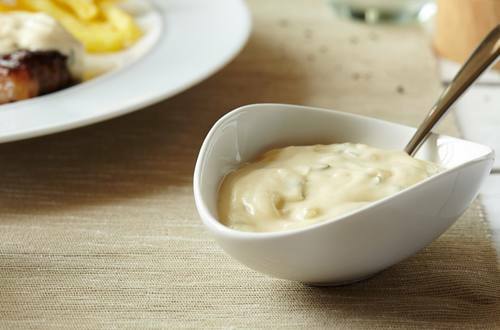 A stunning, light, creamy, home-made Bearnaise sauce with a hint of citrus and made with the great taste of Hellmann's® or Best Foods® Real Mayonnaise. Perfect for meats. 1 Combine lemon juice, onion and tarragon in small saucepan. Cook over medium heat, stirring occasionally, until onion is almost tender, about 3 minutes. Reduce heat to low, then with wire whisk stir in remaining ingredients. Cook, stirring occasionally, just until heated through, about 3 minutes. Serve, if desired, with steaks, roast beef, cutlets or chops.